When a child’s financial aid package doesn’t fully cover the cost of college, lots of parents in the United States can’t simply pay the difference, either out of their regular income or their savings accounts. 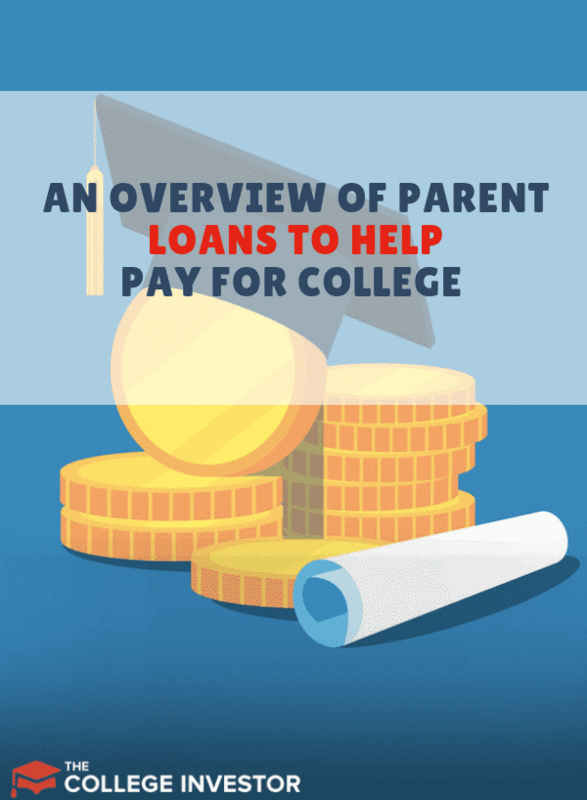 As a result, many parents look into taking out loans to cover the difference, either in the form of Direct Parent PLUS Loans from the federal government or private loans from banks and higher-ed lending companies. This approach may seem smart and straightforward. After all, if your child is borrowing money on the premise that it’s worth going into debt for this education, isn’t it acceptable for you to do the same? But there are significant differences between borrowing as a student and borrowing as a parent. These differences can make the short- and long-term costs of borrowing much greater for parents. Knowing the differences can help you make smart decisions about how you and your child should share the cost of their college education. Note: We don't recommend parents ever borrow to pay for their children's education. But, many parents will still do it, so here's what you need to know. Who Really Benefits from Parent Loans? The first option you’ll encounter, possibly on the suggestion of a college financial aid officer or simply from an email from your child's financial aid office, is the Direct Parent PLUS Loan. These loans come from the federal government, much like the Direct Loans your child is offered as part of their financial aid package. There are some basic eligibility requirements for these loans. Only biological or adoptive parents qualify for these loans — not grandparents or other guardians — and you must be a U.S. citizen, U.S. national, or permanent resident. In general, you apply for Direct PLUS Loans in the same place your child did: StudentLoans.gov, though in some cases, the application must go through the school itself. You are eligible to borrow the full cost of attendance, as determined by the school, minus any financial aid your child has already received, either in the form of scholarships or loans. While the guidelines state that an “adverse credit history” may prevent you from receiving a Direct PLUS Loan, that just means you can’t have any major issues, like bankruptcy, in the past five years. There are even ways to appeal that decision. You will need to apply for a new loan each academic year, if necessary, but given that your financial situation might change from year to year, this isn’t the worst requirement. Direct PLUS Loan money is disbursed directly to the school, usually twice in the academic year, and applied to the remaining balance owed. If there happens to be money left over when this is done, that money is sent to you to help pay for other educational expenses. You can also have it given directly to your child for the same purpose. Given the cost of college course materials, this can be helpful. The relative ease of accessing this money comes at a cost. The fixed interest rate for federal undergraduate loans made to students during the 2018-2019 academic year is 5.50%. For Direct PLUS Loans to parents, it’s 7.6%. Both kinds of loans charge additional servicing fees for each disbursement, but where undergraduates are paying a little over 1% at the moment, parents are paying around 4.25% of the loan value in fees. Repayment is another area where federal parent loans differ from student loans. Your child doesn’t have to start paying back their federal loans until they’re out of school, but Direct PLUS Loans go into immediate repayment. You can request a deferment as part of the application process, though, which means you won’t have to start repaying the loans until six months after your child stops attending school at least half-time. This applies whether they graduate, drop out, or drop below the attendance requirement. Direct PLUS Loans are not subsidized, however, like some student loans. Since they’ll accrue interest while they’re deferred, you should consider this when assessing the long-term costs of taking out these loans. At a minimum, though, it’s probably a good idea to start the repayment process right away so that interest doesn’t accrue while your child is still in school. Student loans have a variety of repayment plans, but the options for Direct PLUS Loans are more limited. The Standard repayment term for Direct PLUS Loans is 10 years of equal monthly payments. You can also choose the Graduated plan, in which the repayment term is 10 years but the payments start out lower and increase over time. 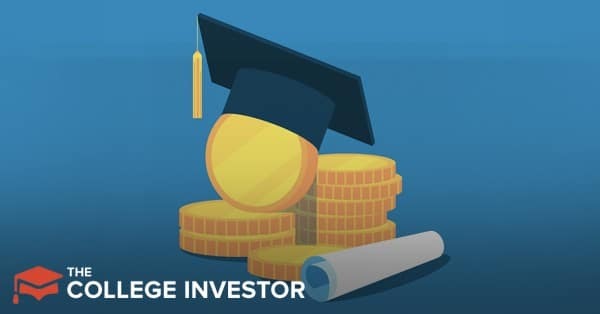 There is also the Extended plan which allows up to 25 years for repayment, if you qualify, but obviously adds greatly to the interest you’ll pay in the end. Moreover, Direct PLUS Loans aren’t eligible for income-based repayment plans like your child’s loans, and you can’t transfer your loans to them to take advantage of that program; you must repay the loans yourself. If you have multiple loans, you may be able to take advantage of an income-based plan if you refinance and consolidate, but your loans and your child’s loans can’t be combined. Read this article about the options for repaying your Direct Parent PLUS Loans. Final Reminder: A Parent PLUS Loan is the parent's loan. Not the student's. As such, the parent is the one who is legally obligated to pay the loan back. The parent is also the one who will face the repercussions if the loan isn't paid back. Borrow wisely. The other option is to take out private loans. These generally come from banks or other dedicated higher-education lenders. Your instinct may be that they must be more expensive than federal loans, and in the past, you may have been correct. But given the mandatory fees on top of the interest charged, federal loans are often more expensive, especially when interest rates are fairly low as they are right now. That being said, private loans are more restrictive than Direct PLUS Loans in other ways, and no two institutions offer the same terms, so you’ll have to shop around. The citizenship and relationship restrictions on eligibility are generally the same as with federal loans. But your credit history will matter more when applying for a private loan, influencing the rate you get and even whether or not you qualify for a loan at all. Most institutions offer variable- or fixed-rate terms and some offer multi-year loans. Some banks will discount your interest rate if you are already a customer or have your payments automatically debited from an account there, so if you’re interested in this route, it’s good to check the institutions you already bank with. Unlike Direct PLUS Loans, where the maximum loan amount is determined by the cost of the school, private lenders have fixed maximums. Here is one thing virtually all private loans have in common: you must begin repayment immediately. While you can’t defer a private loan, some institutions offer shorter or longer repayment periods in addition to the standard 10-year term, though extending your payment plan will further increase the cost. There are several lenders who will make private loans to parents. You can find our full list of the best private student loans here. One option to consider that falls somewhere between “federal” and “private” is taking a loan from a state-based educational lending institution. These are often private or government-affiliated nonprofits chartered by the state to provide lending for college. Though most of them focus on lending directly to students, both undergraduates and graduates, some offer parent loans that offer the benefits found in both private and federal loans. Two popular state-centered lenders are RISLA and Brazos. Check out your state’s options before you make a decision. The most obvious reason to avoid taking out loans for your child’s education is the cost, but just looking at the dollar amounts alone isn’t enough. When you take out a car loan or a mortgage, you try to make an educated prediction about your personal finances over the life of the loan to determine whether it’s a reasonable risk. Parent loans may seem like a reasonable risk, especially if you’ve paid off other debt. But the repayment term for these loans will often overlap with your last decade of retirement contributions. If these loan payments cut into those savings — or worse, come out of your retirement benefits — they can significantly impact your own financial stability. While your child may be eligible for loan forgiveness if they go into public service or teaching, that forgiveness does not extend to loans you took out on their behalf. Moreover, these options are most often appealing — and seemingly most necessary — for low- and middle-income borrowers, but the Direct PLUS Loan comes with very little debt counseling and does not take into account how much money it’s reasonable for someone to take on with your debt and credit rating. With no caps on borrowing beyond the school’s stated cost, this means that parents can end up taking on far more debt than they can handle at a time in their lives when many should be avoiding debt. This problem is exacerbated by the fact that most parents take these loans out one year at a time, making it harder to grasp at the beginning what an expensive approach this is. Taking out a $10,000 loan when your child starts college might seem reasonable. But if you have to do that for four years, that’s $40,000 in principal. Take into account that tuition is likely to rise over those four years, and the cost of deferring repayments for four years, and this can be a staggering amount of debt. And if you run out of money during your retirement, there are no easy loan options to help you. Some argue that parent loans serve a valuable purpose, making higher education available to lower-income families. But others make the argument that these parent loans can be seen as a kind of predatory lending. For parents who cannot draw on savings or tap into other resources for credit, the government freely loans money — at a cost. But it’s far less forgiving with parents than students when it comes to repayment, and if you cannot make your payments, the government will not hesitate to take them out of your wages, Social Security checks, or tax refund. Moreover, though the Department of Education penalizes colleges and universities when a certain percentage of their students default on loans, there are no such penalties for parent defaults. When your child’s school urges you to consider parent loans, they’re suggesting the option that brings them the greatest benefit while asking you to bear all of the risk. The other options for parents interested in making up the gap in funding often aren’t any better, though, especially for low- and middle-income families. One suggestion is to take out a home equity line of credit. Others say dip into your Roth IRA. For many, these are not possible, let alone advisable. And the suggestion that you should have opened up a 529 college savings account isn’t really helpful at this point in the process. It’s easy to see why parent loans seem like the only option. But there’s one more option, and it’s the smartest one in most, though maybe not all, situations. Your child can apply for more federal loan money beyond the initial package offered to them, and this is a much better option than taking on parent debt in either of the forms outlined here. This might not be what you want to hear, especially if you want to help them with college costs, but it’s probably the best approach. Or, your child can focus on work, scholarships, or even take a gap year to build up some savings to pay for school. Check out our full order of operations to pay for college. Even in today’s job market, your child will hopefully have many more years to pay back their loans. They will be able to get loans with lower interest rates, lower fees, and more time and flexibility for repayment, including loan forgiveness programs. You can assist them in other ways, by helping them minimize their own college debt, make their loan payments if you are in a position to do so without impacting your own stability, and by having an open conversation with them about the risks and rewards of borrowing money in general.